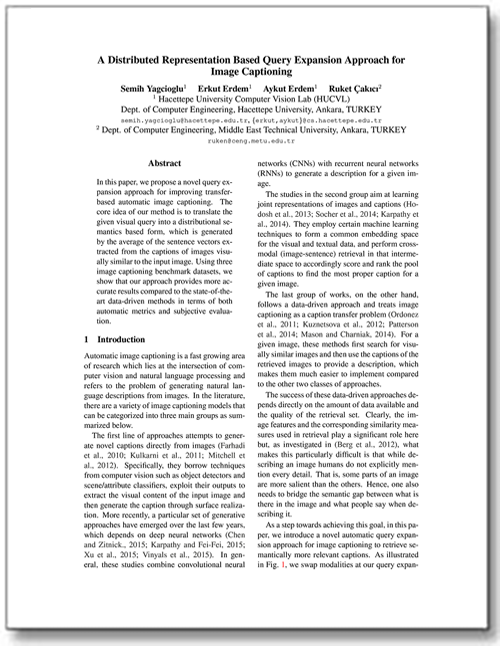 A system overview of the proposed query expansion approach for image captioning. 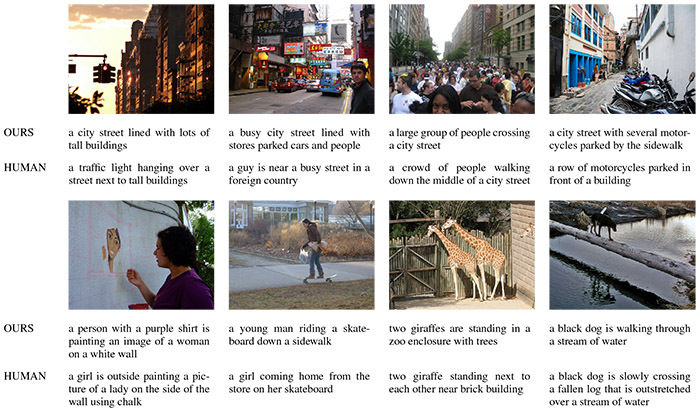 In this paper, we propose a novel query expansion approach for improving transfer-based automatic image captioning. The core idea of our method is to translate the given visual query into a distributional semantics based form, which is generated by the average of the sentence vectors extracted from the captions of images visually similar to the input image. Using three image captioning benchmark datasets, we show that our approach provides more accurate results compared to the state-of-the-art data-driven methods in terms of both automatic metrics and subjective evaluation. A set of sample query images on top and generated descriptions with our approach at the bottom, along with the groundtruth human descriptions. This research was supported in part by The Scientific and Technological Research Council of Turkey (TUBITAK), with award no 113E116. For comments and questions, please contact Semih Yagcioglu.